First Class Cleaner London is specialised in providing end of tenancy cleaning services in White City W12. Every end of tenancy cleaning service has 48 hours guarantee. Are you a tenant, who is going to vacate his/her current home? 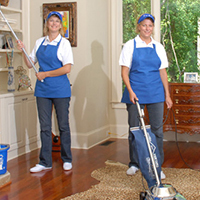 Are you looking for a cleaning company to take off your shoulders the responsibility of cleaning the entire place? Then you are at the right place, where you can order professional end of tenancy cleaning services and enjoy ideal cleanness all the time. End of tenancy cleaning is a great service, designed to help people, who need assistance to clean up their entire places before they vacate them. When it comes to moving out from a property you were renting, it’s more than necessary to clean it in detail and make sure it looks as well as it did when you first moved in there. However, this takes way too much time and energy – things that many people don’t have at the time they are busy moving out. It’s understandable that the whole process can give you a headache, therefore we are here to help you. End of tenancy is the best way to make the place as clean as new, so that you can receive your deposit back without any problem. Our company is a leader on the market. We have been providing Londoners with ideal end of tenancy cleaning services for a very long time and we have thus become one of the biggest names in the industry in the capital. Our huge number of supporters is a proof that we are the best at what we do and we do it with great pleasure. If you need more information or you want to book a cleaning visit, call us now.